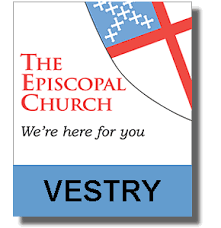 The basic responsibilities of the vestry are to help define and articulate the mission of the congregation; to support the church's mission by word and deed, to select the rector, to ensure effective organization and planning and to manage resources and finances. To accomplish these goals, the vestry meets regularly. The presiding officer of the vestry is the Rector. At the annual meeting, the congregation elects 2 wardens, a treasurer, assistant treasurer, and clerk for one year terms. Each year, three vestry members are elected to 3 year terms. At the Church of the Holy Nativity, we have 3 new members starting each year, with 3 others retiring.